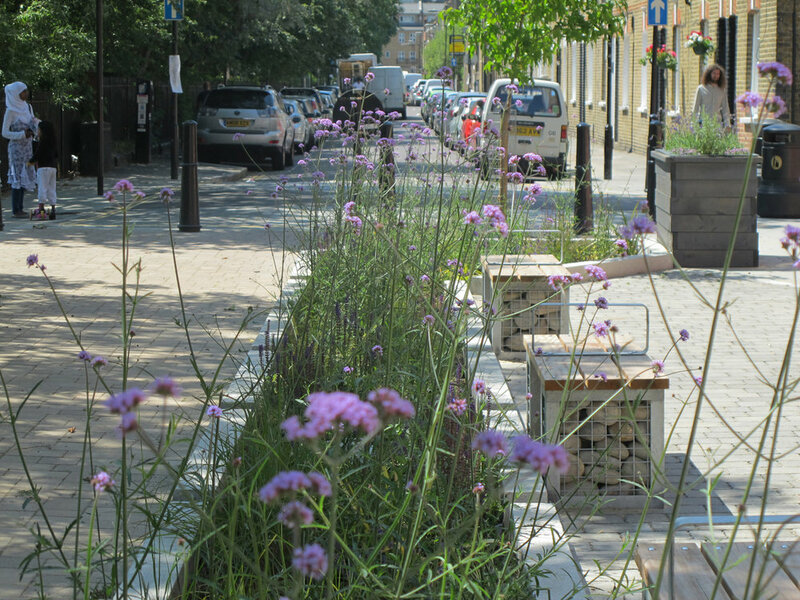 Derbyshire Street Pocket Park was created by transforming a dead-end section of under-used road in Bethnal Green, east London. The space is adjacent to Oxford House established in 1884 as the first “settlement house” for students and graduates from Keble College, Oxford. Today Oxford House is an important local community and arts centre. Luke Greysmith worked with Oxford House and local authority Tower Hamlets to re-imagine the outside space. Ambitious proposals were prepared that sought to recognise the potential as an important node for pedestrians and cyclists – within a thriving network of streets. A small section of unused green space (within the adjacent park) was also incorporated into the scheme, offering connectivity as well as the opportunity to deliver on proposals for sustainable urban drainage (SuDS). 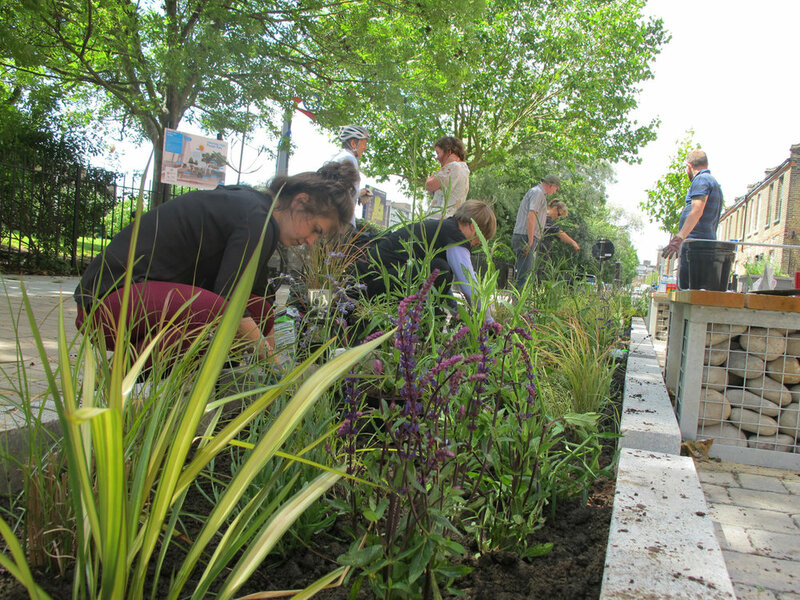 Funding for the project was secured via a bid to the Mayor of London’s pocket park initiative – which was match-funded by Tower Hamlets. The design incorporates the cycle lane, new seating, green-roof covered bike racks and bin stores, a rain-garden and a defined area for café tables and chairs. The landscape scheme has helped Oxford House in securing HLF funding to undertake major works to the listed building, including construction of a new main entrance to the building via the pocket park and a new café that will overlook and utilise the outdoor space.